Something much greater than just South Africa’s reputation as a human rights leader on the African continent died on Monday. 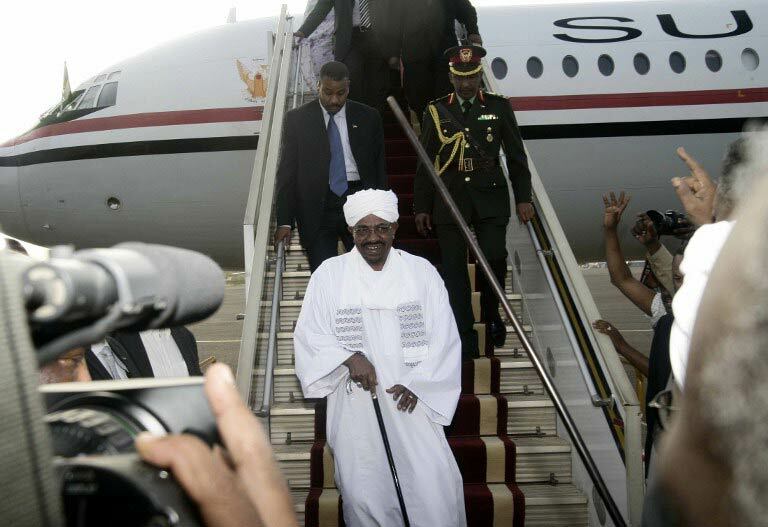 When Sudan’s President Omar al-Bashir was allowed to escape the country in a private jet – in defiance of a domestic court order and international law – Nelson Mandela’s democracy stood in solidarity with the Big Men of the African Union, who have declared the international criminal court (ICC) a racist organisation that targets Africans for trial. The events unfolded like a John le Carré novel: just minutes before South Africa’s president Jacob Zuma delivered his opening address on Sunday to the African Union summit in the glitzy Sandton Convention Centre in Johannesburg, the Pretoria High Court ordered that the government should ensure that Bashir could not leave the country. But incredibly, the government managed to “lose” the Sudanese president, insisting for hours after he took off at 11.46am on Monday that it did not know whether he had left or not, claiming that he may have gone shopping. Bashir was indicted in 2009 by the ICC for alleged genocide and war crimes in Darfur. Allowing him to escape was a kick in the face of the 400 000 people who have died in the ongoing conflict – and the 2.5 million who have been displaced. Over the past few years pressure from African leaders criticising the ICC has grown, with many claiming its cases target African leaders only. In December Ugandan president Yoweri Museveni, who has been in power since 1986, said the ICC was a “tool to target” Africa. Rwanda’s president Paul Kagame has accused the court of “selective” justice. This is in some sense true: since its establishment in 2002, the ICC has heard 22 cases and indicted 32 individuals. All of them are African. While this stance may have endeared the country to the rest of the African Union – where it seeks to be a significant player – it reveals a troubling contradiction: signatory to the Statute on the one hand, while flirting with those who seek to defy its precepts on the other. But this isn’t the first time the country has displayed its ambivalence towards the ICC: in 2010 South Africa invited Bashir to the now scandal-mired World Cup, attracting plaudits from some on the continent and gaining street cred for shaking its fist at the west. Many South Africans aren’t surprised by the weekend’s events. Over the past seven years the country has sided with the dodgiest leaders in the world in the name of “the national interest”. The authorities have refused the Dalai Lama a visa to enter South Africa at the invitation of Archbishop Desmond Tutu and other Nobel laureates at least three times at the behest of China, with whom we have signed a 10-year agreement pledging “political mutual trust and strategic co-ordination”, while President Zuma is having a full-on bromance with Russian strongman Vladimir Putin, remaining silent about the Kremin’s alleged assassination of opposition politicians. Robert Mugabe, accused of the murder of thousands of his own citizens in the 1980s and the torture of many more in the 2000s, was wined and dined on a state visit here a few months ago. And Bashir? South Africa has defended him since the ICC issued its first warrant for his arrest in 2009, under the guise of building ties with the African Union. In effect, the South African government has broken its own laws and acted in defiance of a court order. A government lawyer, William Mokhari, told the court that Bashir’s departure will be fully investigated. But that is academic. The government did nothing to arrest him. Politically, this much we know: by protecting Bashir and letting him escape, our country has openly taken sides with the Africa’s tyrants, and not their victims.